Season’s Greetings! If you have a moment, pour yourself a cup of coffee and let me spend a few minutes with you as you thumb through our latest issue. 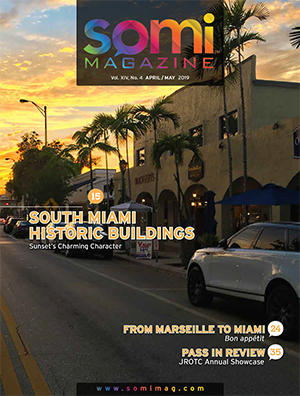 Over the past few issues, we’ve taken our readers to visit some of Miami’s fine cultural and community institutions: Fairchild Tropical Botanic Garden, History Miami and the Perez Art Museum Miami. In this issue we return close to home with something to shout about in SOMI. We have many great family-oriented events happening in our hometown. Our two art festivals, Santa’s Parade of the Elves, Safe Streets Halloween, the Twilight 5K and more, are part of the fabric of what makes SOMI so special. 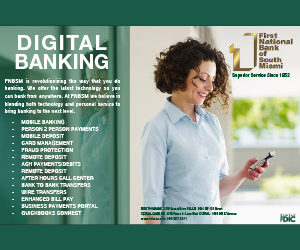 In this issue we continue to acknowledge businesses in SOMI who are also observing 10, 20, 30 years or more. 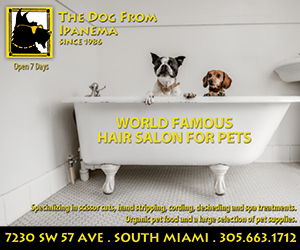 In this issue we’re delighted to highlight Jarbas Godoy and The Dog from Ipanema, observing thirty years in business and ten years in South Miami. In upcoming Volume XI issues other businesses will be visited. We’ve got some new businesses in town to introduce you to in our What’s New in Town feature, and some which have changed hands. One of the more significant is the recent acquisition of The Shops at Sunset Place. Now locally owned and managed, the team is in the process of making improvements, signing new leases and developing a long-term plan. And after ten months being shuttered, the neighbor gathering place now known as Casa Cuba has opened. As a commuter cyclist and bicycle advocate, I very much appreciated the convergence of bicycle related events and activities in and around South Miami over the past month, with the presentation of the master plan for The Underline, an inaugural off-road ride of The Ludlam Trail, and a five-day mega event, Wheels, focusing on transportation alternatives. You’ll read about these events in this issue. 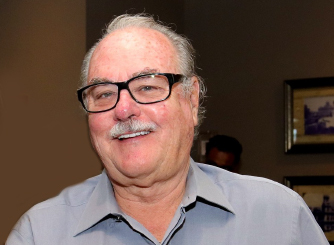 I must commend the City of South Miami administration for their attention to the beautification needs in our retail and restaurant district with new street signs, sidewalk repairs, tree plantings, attending to the flower planters and more. And on my New Year’s Resolution List is to continue to push for more pedestrian and bicycle safety concerns. We definitely need a landscaped pedestrian crosswalk across Red Road at 73rd Street – that’s something that simply has to get done with the cooperation of the county. The need has been apparent for years – let’s get it going in the works. In this our traditional holiday issue we’ve included some cocktail recipes for holiday entertaining. Cheers! 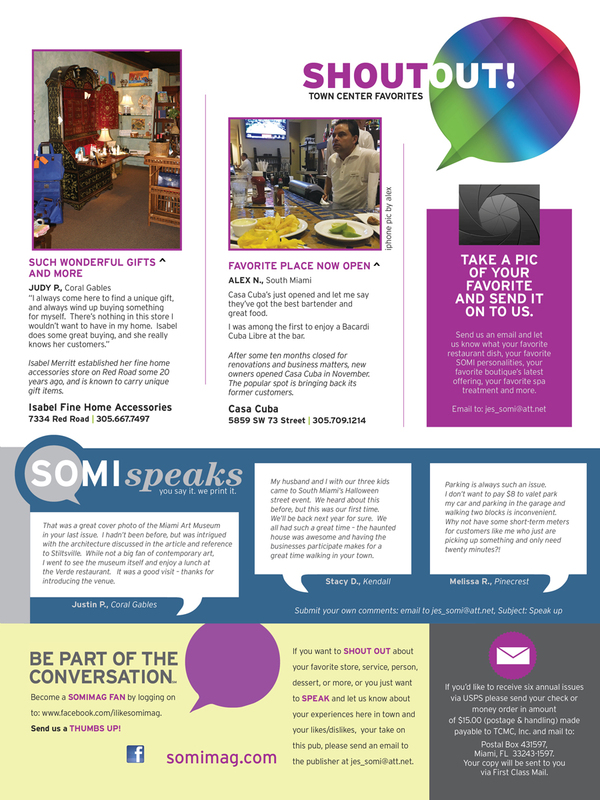 Enjoy the SOMI experience in 2016 and remember to SHOP SMALL all year round in SOMI!